SUNCREAM AND SPARKLES: Simple salad & the new tab! 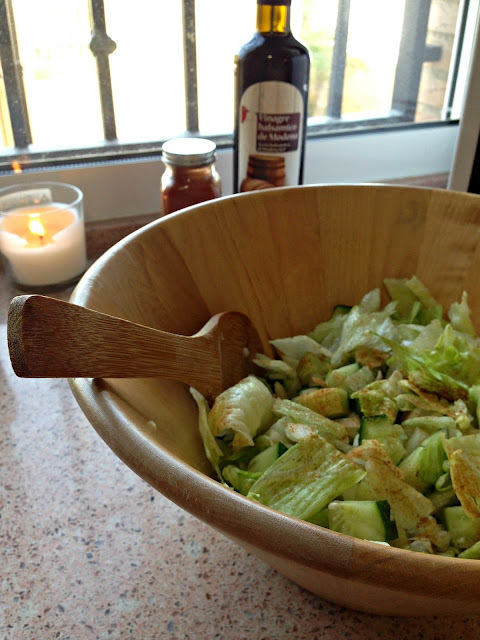 Simple salad & the new tab! I'm drinking my Aloe Drinking Gel everyday, now up to two shots in the morning, hot water and lemon, Matcha Tea, Pu-erh tea etc etc and I'm loving this new me! I really feel my head is in the right mindset, as this is a way of life not just a crazy fad diet! I want to introduce to you my new 'Keeping it Healthy' tab on the blog! As I'm getting more and more into my healthy eating and lifestyle changes, I thought it'd be a good idea to have everything in the one place, in easy reach, so there's no hunting through the main post feed. I hope you find this new feature helpful and interesting and if I manage to inspire you too, OMG! that would be amazing and would truly make my day! Please always pop a comment in the box below, so I know you guys are liking what you're reading! Seriously, I love all feedback, positive and negative! So today, I want to share with you guys my go-to healthy treat! 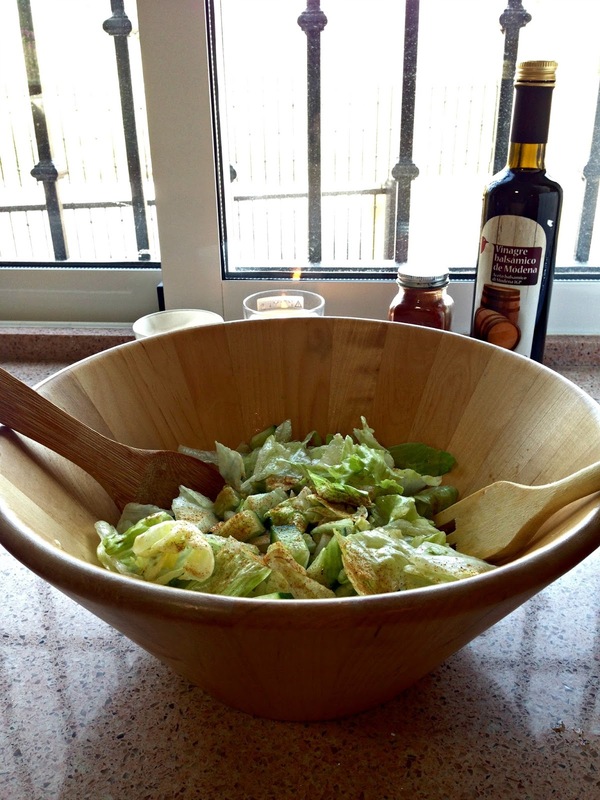 The most easy, simple, salad, ever! I know, I know, like the hot water and lemon it's nothing revolutionary, but I flippin' love it. I swear I'm the worlds worst nibbler and fridge opener. To have a salad already there made up in the fridge, fork in place and everything, really helps curb my unnecessary munching! I find if I'm on the scrounge for something and I see the salad in the fridge, at eye level, all fresh and inviting, I just take a couple of mouth fulls and off I go, to get on with my day. So, this is ridiculously easy. I really cheated and bought ready chopped, ready washed bags of iceburg lettuce which you just pop into a bowl (mines from Ikea, absolutely love it!). Chop up some cucumber - I like mine in chunky cubes. Slice up some onion, mix it all together with the lettuce. 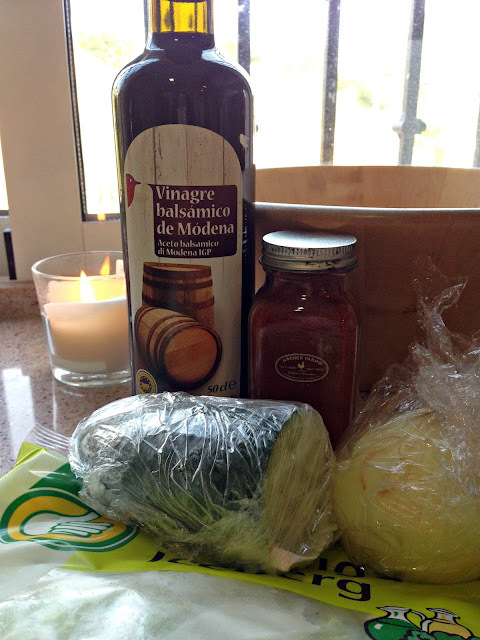 Then drizzle some balsamic vinegar over. Be careful tho! Yesterday when I poured some, the bottle slipped and my lettuce got a bit drenched haha! Then sprinkle with some paprika! Voila! Pop it in the fridge and have it with your lunch, dinner or just when you need a quick food 'fix' it's all there ready and waiting! My lovely friend over at Priceless Life of Mine says that Chia Seeds are a fab superfood, so I reckon some of these sprinkled on top would be amazing! Good idea to have it chopped and ready in the fridge. When I have a salad at home it has to be chopped, not sliced but chopped, everything! I dress mine with either a balsamic or a yogurt and mint dressing which is my absolute fave right now. Thanks for the lovely shoutout. Just make sure you add the chia seeds as you eat them because they swell and become soft! Really great idea for the Keeping it healthy tab, love it. Ooo yogurt and mint sounds nice! Will look out for that! Chia seeds - right will do! Thanks hun! !